oldslotman wrote: they always use a three symbol over lay so you only see one splice at a time on any one reel in the reel windows. I realized when I got to the third reel, where they are only covering over one symbol, rather than two, that they had some reason for using a larger splice. I was guessing that a larger splice just stayed in place better than say a square covering one symbol would, but it makes sense to go to three so less is visible in the window as well. Also, besides those splices where they reduced the odds a bit, I realized that when they stopped running the machine as a Gold Award, which effective adds something like four more lemons to it, they really left if a machine with poor odds for the player! I like a machine run for amusement to have good payouts, and have even put bugs on a lemon or two on a standard reel set to make it more fun to play. 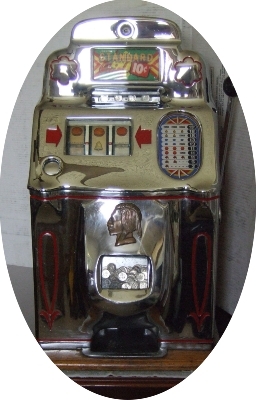 JP wrote: I like a machine run for amusement to have good payouts, and have even put bugs on a lemon or two on a standard reel set to make it more fun to play. Hey, JP, that's a great idea. 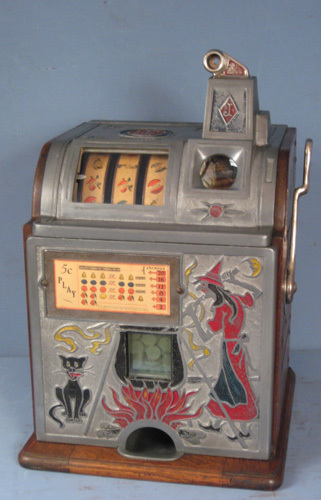 I'll add some bugs to INCREASE payouts and make the slots more fun for the kids. Thanks for mentioning it.